It might not be a man's world, but it can smell like one! 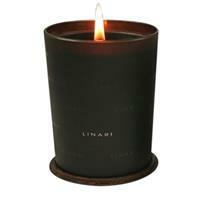 Linari Mondo Room diffuser is a smoldering mix of leather with mossy wood. Reminiscent of sitting in a wornout leather chair next to warm and smoky logs burning in the fireplace. Fresh and romantic, rustic and cozy it is the elusive aroma of leather mingling with wood. The fiery but soft leather blended with smoky and elegant wood gives a unique scent. Warm cedar and aromatic sandalwood merge with rich undertones of worn leather. A delicate hint of pineapple and bergamot adds a freshness to the alchemy. Enkindle your surroundings with the feeling of warmth, energy and tranquility. The classy mirrored flacon is made from Italian glass with a stylish lid of Nordic birch wood. The laminated label and natural colored capillary sticks enhance its look. The artful container of will fit into any decor in a professional or personal space. The fragrance of Linari Mondo room diffuser will last for approximately six months. It comes in a 500 ml bottle. The LINARI diffusers distribute wonderful pleasant scents which seduce our senses. The pure shape for the room fragrance flacon with its high class lid appears to be a timeless modern design object of highest quality and beauty. 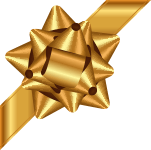 LINARI uses only high quality materials to manufacture these products. The LINARI fragrance flacons are made of exquisite Italian glass. The lid is carved out of solid fine grained maple wood, African wenge wood and zebrano wood and the surface is refined. Through the natural wood texture every lid is unique. The luxurious textile labels are manufactured out of finest premium satin and mikrosilk. The evaporating sticks are made of high quality tropical plants and therefore are able to achieve an optimal capillary effect. The development of the fragrance is dependent on the speed at which the capillary sticks absorb the room fragrance. Within 1 - 2 hours of insertion the Eau de Parfum will have been absorbed to the height of the lid. After 5 - 7 days the liquid will have reached its highest level, approximately 10 - 15cm above the wooden lid. In general the life expectancy of LINARI room fragrances is 6 months, however they can last much longer. The evaporation rate, and therefore the average life expectancy is dependent on atmospheric conditions. Low humidity, low air pressure, high temperature or any combination of these conditions may decrease the evaporation time.